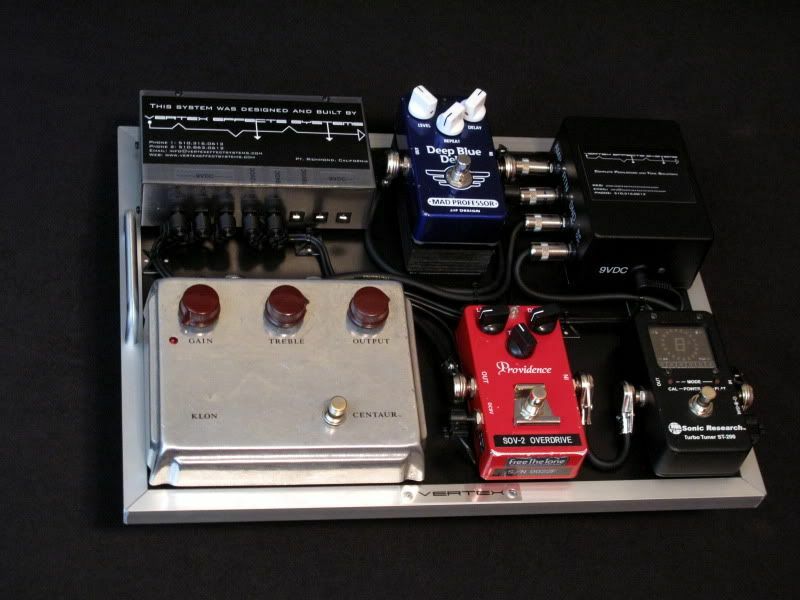 Here's a rig a put together for blues guitarist Matt Schofield. 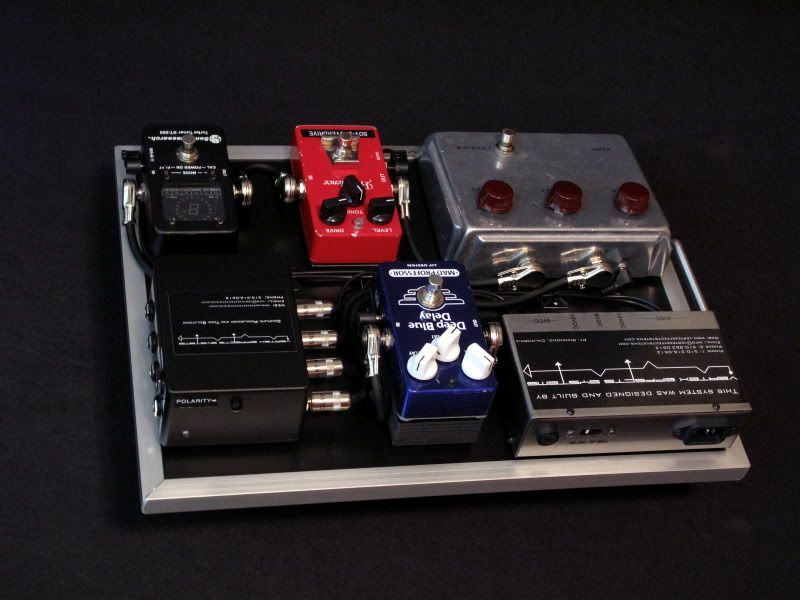 Matt wanted something that would allow him to maintain the simplicity of his rig, while giving the option of expandability with additional pedals and amps for certain situations both live and in the studio. All of the pedals are running in front of a 50W Two-Rock Amplifier that's based on the Classic Reverb, but tweaked for Matt's taste. Matt also uses a combination of Strat and Tele style guitars made by Simon Law (SVL Guitars). 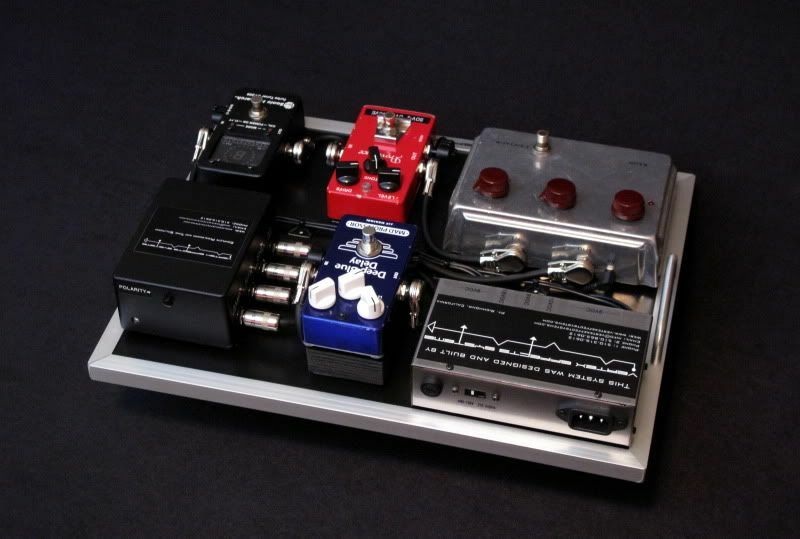 Vertex Input Buffer, Insert "Break-Out" to place the Wah pedal after distortion pedals but off of the pedalboard (when the Wah is not plugged into the interface the insert is shorted and continues the signal path to the next pedal in-line), Vertex Output Buffer w/splitter to send the signal to two amplifiers (output to Amp 2 is transformer isolated with a polarity switch). Vertex Modded Power Supply. Gutted an older Pedal Power unit and used a new transformer that could auto-sense voltage so Matt could use the pedalboard anywhere in the world without having to change the power supply. I stripped the enclosure, chromed, and polished it. With the new transformer I could get 8 completely isolated taps that would kick out 5x 9VDC, 2x 18VDC 1x 12VDC (and other variations of this were possible, but no DIP switches like current Voodoo Lab supplies). It's completely silent and works amazingly well for this application. 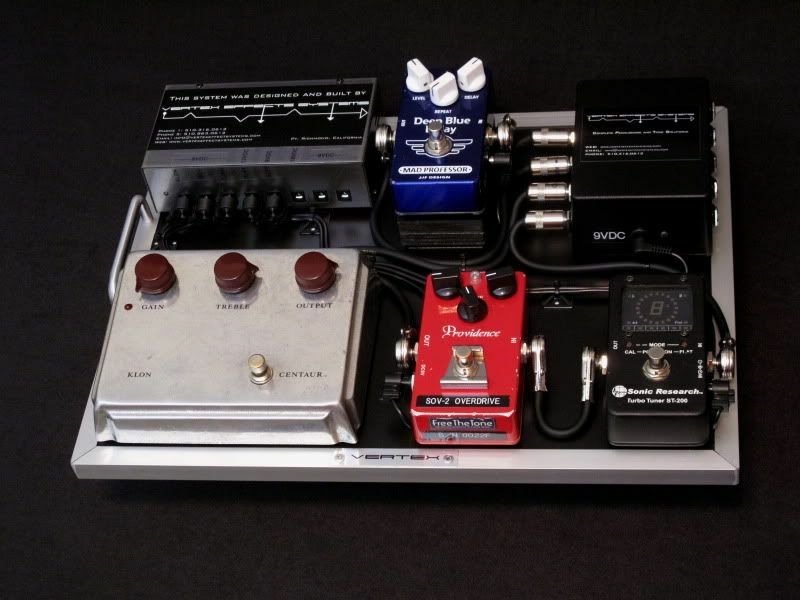 *The entire rig is wired with Providence H207 cable as requested by Matt.